What's the appeal? PLEASE TELL ME!!!! 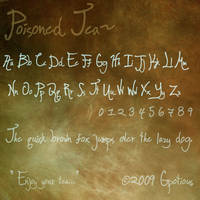 I've decided if this font gets 1000 hits I'll carry on with it and tidy it up, but after I've finished my other work. 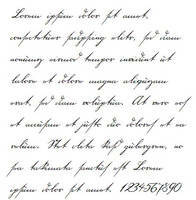 PLEASE SEE THE UPDATED VERSION "Script Font - Beloved version 3" THANKYOU. I've added a critique request to this page, mainly because people DO keep looking at it and adding it as a favourite or image set, etc. And having made a better version, I'd just like to know why you all keep coming to this one. Maybe it's just me being too picky, but all I can see are faults in it. PS. As people seem to like this I've decided if it ever reaches 1000 favourites I'll finish it off. When I see this font, I can easily imagine lovers running barefoot on a breezy beach in filmy clothing, having a picnic in a warm flowery meadow, dancing in the rain, or a lazy evening with nothing but a bottle of wine and a sunset. 35 out of 35 deviants thought this was fair. I like this font a lot, and I can easily picture this font in many different drawings that I have seen. The way you made the lines thicker and thinner really works with the letters. I think that this is very well done. However, I think that all the swirls and curves make it a bit hard for the reader(?) to tell which letters are which, like the uppercase P and L.
The lowercase letters seem to be shadowed by the uppercase. They don't seem as creative as the uppercase and look kind of like a second thought to me. Other than that, I have no problems with it. I love it! 11 out of 13 deviants thought this was fair. It's the fantasy tag line. 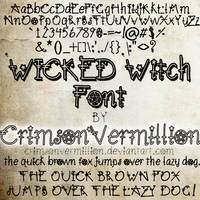 I searched for Fantasy Font in the search bar and this was one of the first that came up. Hi, is it possible to download the beloved font? I keep getting asked how to download this font. Unfortunately you can't. Basically as the font itself has never been finished and finalised. Whether or not it will I don't know yet, that remains to be seen. But for now I really appreciate your support and interest. 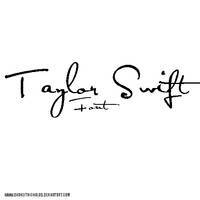 This is GORGEOUS, how do you download this font?!?!? How can you not love this font? It's absolutely beautiful! 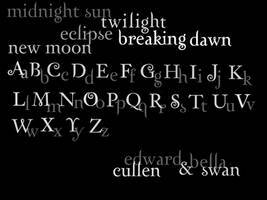 amazing font,, how can i have this beautiful font?? May i have this font please? it kind of reminds me of how European royals signed and wrote their letters and documents, with dramatic long strokes. catches the eye. I like this font because you do the S like I do mine... Your updated version does not. Anyway I can get this one instead? 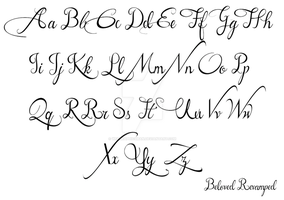 Well, one of the attractive things is the base-loading, where flourishes tend to pull the eye back to the letter or down toward the base-line rather than leading it up or to the side. If this were a free commercial use font ttf, I'd probably download it. 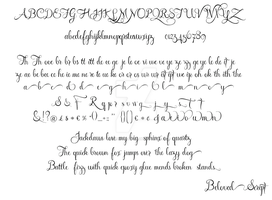 I sometimes use fonts like this for specific characters in my writing. because is simply an award winner font! This or your August 2008 version are the very best!! 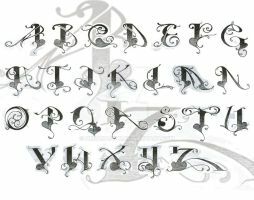 I really really really want this font! 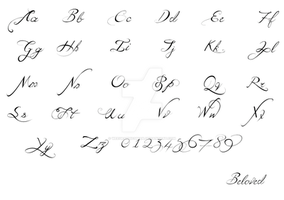 It seems the elegance and curves of each letter coupled with it's legibility make it so intriguing. Such a "fierce met by sophistication" font, perfect to match its users personality. I would be personally honored to display this artists work to promote our charity Guns For Hoses, which all proceeds go to the National Fallen Firefighters Foundation. This font has the perfect personality we r looking for when designing sites and advertisement if you would like to donate your font or work something out so that we may display your art on our our charity. Please feel free to email me at gunsforhoses@hotmail.com for more information on our charity. Thank you for your possible interest in working together in the near future. I am still awaiting the download for this... Im still in love. I'm afraid you may have a long wait. Thank you so much for the enthusiasm it's greatly appreciated. If only everyone was so enthusiastic about each others work. And it is a great font. So that helps! Either way, keep up the great work, and I'm off to view the rest of your work. yes, there are a lot of faults with it. however, the appeal is, in part, the faults. it looks hand written, it looks vintage, it FLOWS. Im not sure which of these i like better, honestly, the old or new one. 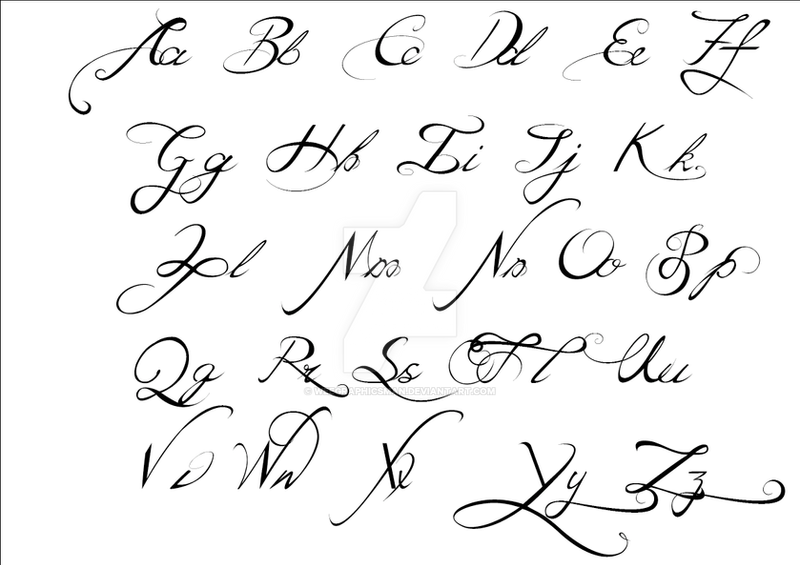 the newer version looks too perfect, like a computer designed and generated it, while this font is a work of art.... all handmade with passion that real artists have deep in their soul. 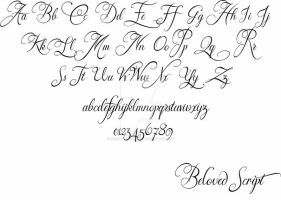 the new one is lovely, it's perfect for wedding invitations or another formal occasion, where this font is perfect for "handwritten" letters to someone you love. something personal. 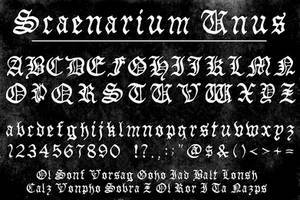 this is an awesome font indeed! i'll return and post a link if i'm done with what i want to do with it for sure! I've never seen a font that is so versatile. I could see it as the script of a madman in his personal notes, or on a beautiful parchment conveying the deepest emotions of an immutable heart. If this becomes available again, please let me know. is it possible to download this one? I would love to use it for some letters for one of my OC. Also the second version, great work! Also, this version of the font comes up first when you search "fonts". The new version is nice, it's just so much more formal looking. 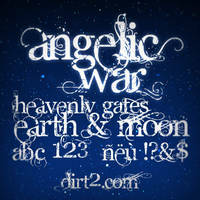 *sad face* I love this font... Alas, no download. No, no download sorry. It's not finished anyway, I had another look at it yesterday and it needs ALOT of work to get it to a finished standard. I may finish it off I'm not sure yet. Thanks for the interest and for stopping by. Hi bud, Just stopping by to throw in my 2 cents on why this font gets more praise. Presentation stands for a lot; I viewed your other sets, and they are in fact more refined. However, this one stands out more because when searching through the pages and pages of pictures, this one jumps out at you. you can see all of the pretty little swooshes and curves, whereas with the other sets, too many characters get condensed into the same space so it just becomes hazy and unclear. Also on another note, Beauty is not perfection. Perfection is Nice, and comforting but beauty is a tool of perception. The most beautiful women in the world have little flaws about their appearance which make them unique and attractive. That's just my thoughts on the subject. all of your sets are in fact beautiful though. Ohh!!! WOw!! thanksss!!! 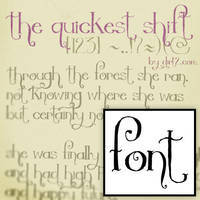 Love this font! I love the sharp angles then contrast of loose whipped lines following it. It feels strong yet elegant. Pls can I use it?! I like that it looks the way it does. Not being a guru on lettering, I know I'm not. It looks like the writing from when they actually took the time to write letters & it took months for a letter to reach someone & I really like that. This is a beautiful font. If the lower case letters don't look quite right together, I can warp them in PS. Or use a complimentary lower case font. But I would like the option of experimenting with it in flash movies especially. 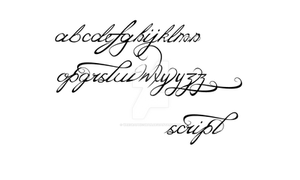 Start with this font and morph it into a different script. Lots of possibilities. They don't look right as they were made incorrectly in the first place. One of the main things I don't like about the font. I'd have to redraw the lowercase from scratch if it was to work together. There are so many flaws. Yes I'm aware of the possibilities with script fonts, it's got me into grief with people over them. I did morph into a different script that's when I started getting grief for it. Epecially over ligatures and swashes etc. see the two later versions. I love this font because it isn't perfect. It looks mysterious, like someone in the middle ages wrote a love letter with it. Sometimes I do not want the pixel perfect font. But I want something wild and beautiful with the flaws you see. Those flaws are exactly what I like. And the organic swooshes give it the look I want. I really wish you would put it up for download. At Last an opinion! Thankyou. Thanks so much for the feedback, it gives me a little more of an insight as to why people keep favouriting this font. I left the font at such a point, that I can't remember what work needed doing. Obviously from looking at the image the kerning and spacing is way off, but the curves needed tidying up and weighting properly. I made this so long ago that I can't even remember how I made this. Maybe I'll look into finishing off if I get enough feedback and enough interest to warrant the work. As for downloads that's something I don't do with my work, I'm truly sorry. 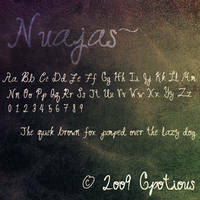 I'm trying to make money from selling my fonts, so downloads are something I won't do. However depending on the size and work I wouldn't sell it for too much, unless I started making alternates and swashes etc. That's when the price would go up due to the work put into making it. At the moment I have another project on the go so I won't be working on this at all for some time, I'm sorry to say. Thanks the new version is far better than this monstrosity. where can i download this font? (: i love it! it is so beautiful.